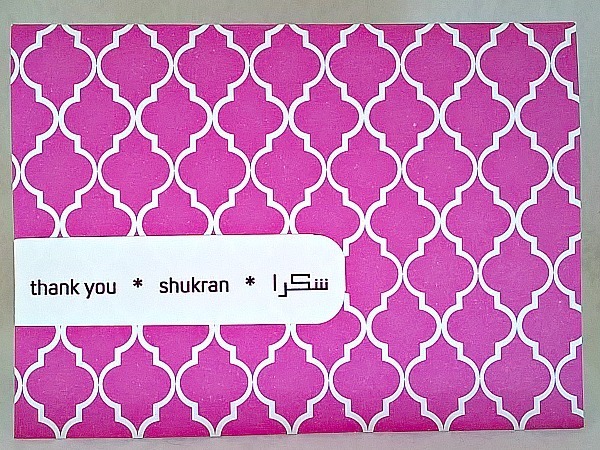 This purple Arabesque Shukran (Arabic for Thank You) handmade card is written in both Arabic and English. 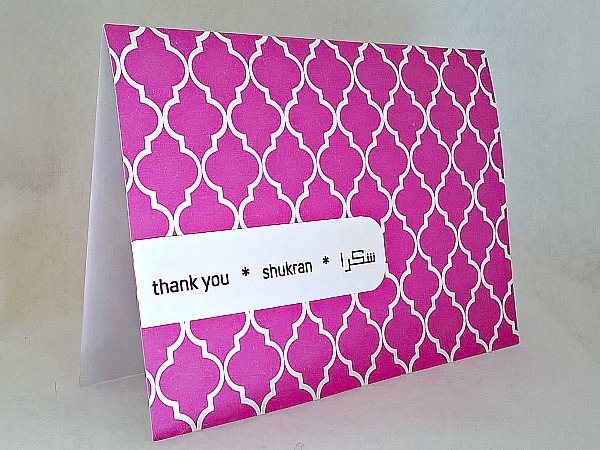 The bold geometric design will be perfect for someone who you need to send a bit of thanks their way, and then can learn how to pronounce Shukran in Arabic as a bonus! 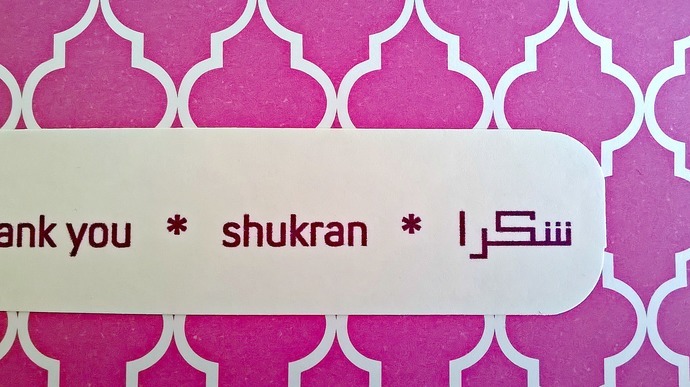 This is a great gift for so many people - children, men, relatives, co-workers. 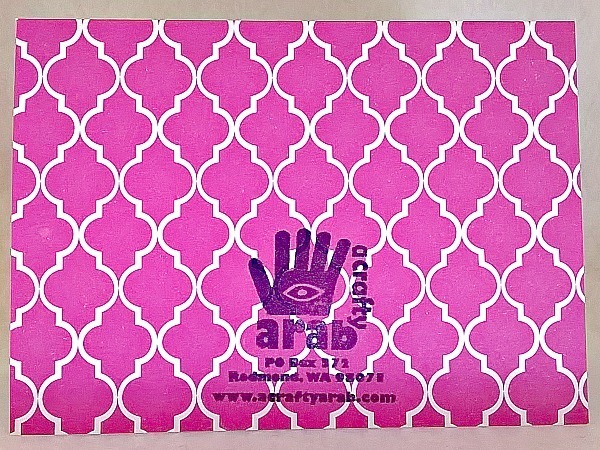 It measures 4 1/4 x 5 1/2 and is on teal cardstock and comes with a white envelope in a protective plastic sleeve. Made in my non-smoking, pet free studio.